PepsiCo is installing an integrated reuse solution from Siemens Industry Automation Division at its snack food production plant in Santiago, Chile. As part of a wastewater treatment plant upgrade, the manufacturing facility is increasing its wastewater treatment capacity by 20% and incorporating environmentally beneficial technologies. The Siemens system will lower fresh water consumption by up to 70%. It is expected to become operational in 2012. The integrated solution from Siemens is aimed at eventually helping reduce the amount of fresh water used in making potato chips and other snack food lines at the Santiago plant by an estimated two-thirds. Water savings are expected to be accomplished by taking the initial water used in production, extracting the impurities and cycling it back into the production systems. 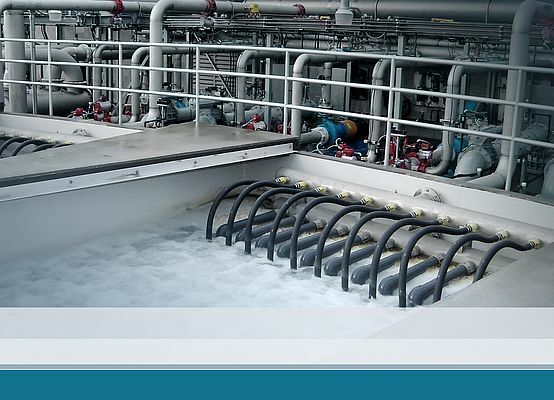 Wastewater treated by the Siemens system will be reused in various internal manufacturing processes. The installation is part of a corporate initiative to help standardize water reuse at PepsiCo facilities throughout South America. At the Santiago facility, most of the wastewater first passes through an extensive starch recovery system and is then screened before it moves on to primary treatment, which includes oil and grease removal. After this stage, it will flow to a MemPulse membrane bioreactor (MBR) system from Siemens that will separate and treat liquids and solids. Additionally, a remote supervision system will allow MBR performance parameters to be monitored online from the Siemens technology center in Waukesha, Wisconsin, USA. From the MBR, the water will be pre-treated before it passes through tertiary treatment, including a reverse-osmosis (RO) system and a Barrier M ultraviolet (UV) disinfection system, both also from Siemens. The integrated reuse solution is more advanced than conventional wastewater treatment processes, producing consistently high-quality effluent in a smaller footprint.